Repurpose or refashion them. 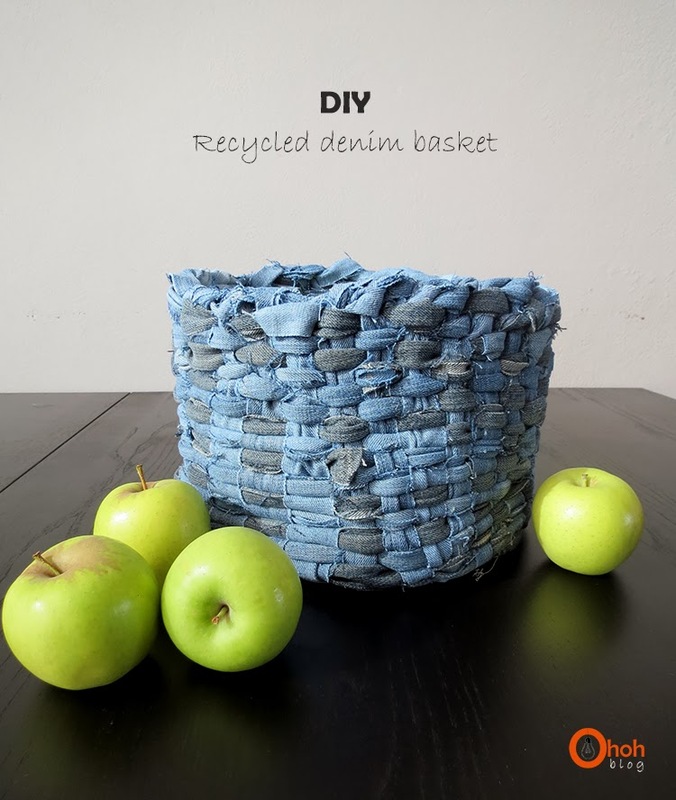 However worn denim jeans may become, you'll still be able to salvage parts that can be made into something else. Denim is a thick fabric, and therefore, not the easiest of fabrics to sew. Here's a summary of my tips for successfully sewing with denim, whether it be pre-loved in the form of jeans, or bought new off the roll. Use a denim or jeans needle. They're strong, have a sharp point and are made to sew thick fabrics. Use the handwheel of your machine, when first sewing through thick sections or multiple layers, such as seams or hems. Take it slowly and work out what your machine is capable of. Some machines can't handle layers of thick fabric. Reduce bulk where possible. Think ahead and try to place the fabric, so as to avoid bulk and thickness. 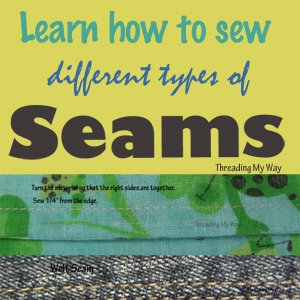 Make a feature of a difficult to sew part, such as a seam. Instead of having two seams meet, move one and make it the focal point. Use a jeans foot, if one is made for your machine. They are designed to help sew over thick layers. 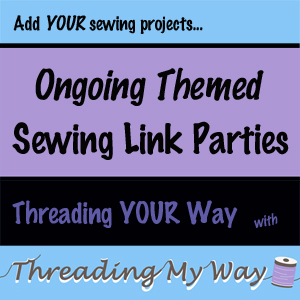 Neaten fabric edges before you sew. Some denim frays a lot. To prevent fraying, zig zag or overlock (surge) around your fabric as soon as you cut and before you sew. Carefully position metal embellishments, when repurposing. Jeans often have metal, in the form of studs and rivets, and, of course, all jeans have zippers. These can make great features when repurposing, but you must keep them right away from the sewing machine needle. Use a height compensation tool. A height compensation tool, which can also be referred to as a seam jack, helps with the angle of the presser foot when sewing over thick seams or multiple layers of thick fabric. If you are lucky, you may find one in your sewing tool box. I have heard of a propriety brand called a Jean-A-Ma-Jig™. I haven't used one personally, but have heard it does a good job. Go slowly!!! while you are learning how your sewing machine handles thick fabric. 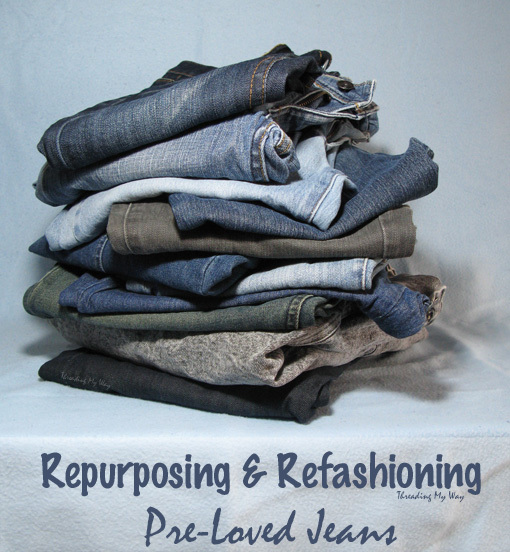 So, what parts of our jeans can we repurpose? Here are 14 tutorials, showing just how you can turn a pre-loved pair of jeans into something unique and useful. Pockets - Most manufacturers make a feature of the back pockets, using stitching to make them stand out. 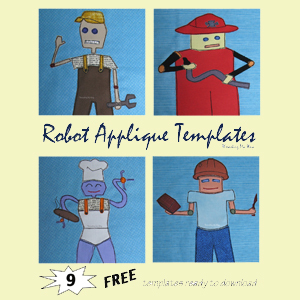 This makes them ideal to add to a new project, saving you time making your own pockets. If you are lucky enough, you may even come across pockets with multi coloured stitching, such as those used on the both the back and front of the needle case. Note how close the pockets are to the belt tabs. This hasn't been a problem, as the tabs have been incorporated into the design. 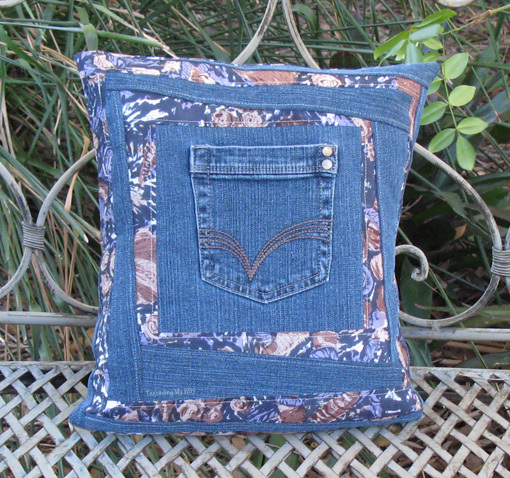 One back pocket, combined with strips of denim and some co-ordinating fabric is all you need to make a cushion. The metal studs on the pocket become an added feature. The back pocket is cut with plenty of fabric around, so the metal stays well away from the needle when sewing. You can never have too many pockets in a bag. 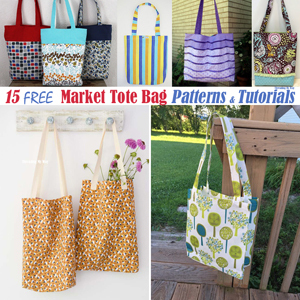 Add four pockets to the front and four to the back and you'll have a very handy bag. Hem Offcuts - If you're short like me, new jeans always need to be taken up, so you don't need to wait for the jeans to wear out before you can repurpose at least part of them. 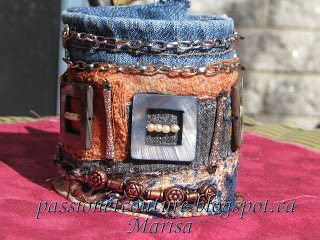 Combine a hem offcut, scraps of fabric, leather, buttons and other small embellisments to make a one of a kind textile cuff. 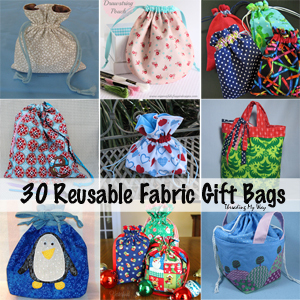 Save on wrapping paper and make a gift bag, using a jean's pocket and some small pieces of fabric. Finish off the bag with straps made from hems and pop a card in the pocket. Fabric Yarn - Thin strips of denim, cut from the legs of jeans, can be used as yarn. Sew the strips together and roll into balls, ready to use in weaving and crochet projects. You could even use them instead of ribbon when wrapping gifts. Make a loom from cardboard and start weaving with jeans yarn and cotton thread to make coasters. 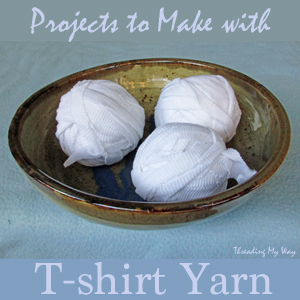 Or weave a larger project entirely using jeans yarn. Choose two different coloured pairs of jeans for a variegated effect. Labels - even the brand label can be used to good effect. If you're lucky enough, you may find jeans with a leather or faux leather label. In this case, the label has been utilised as a belt holder on a cell phone case. Being small, the cell phone case only needs small pieces of denim and fabric. 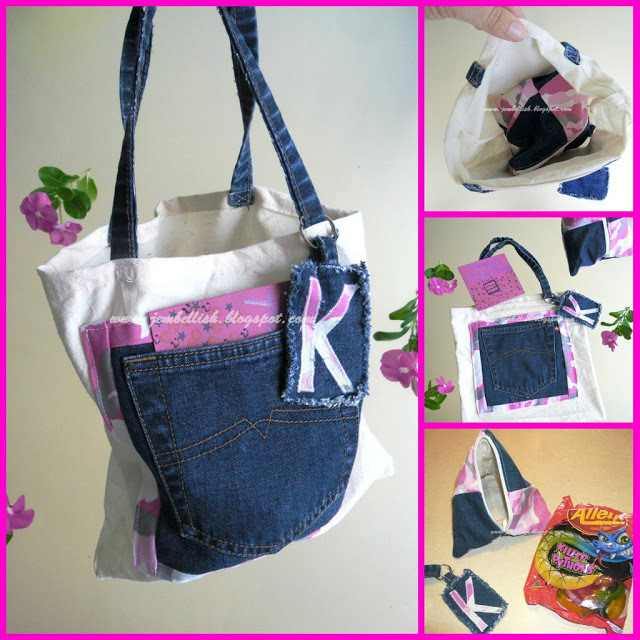 Small Denim Scraps - Even the smallest pieces of denim fabric can be put to good use. Add some embroidery to small pieces of denim fabric and you have a set of coasters. These coasters have been embroidered with a machine, but with a little imagination, you could also hand stitch designs or maybe decorate with fabric paint. Make a small zippered pouch for your iPod and attach it to your keychain. Little pouches such as these could be used for many different things. 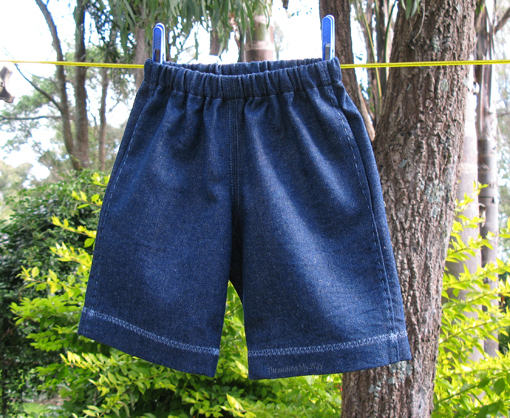 Legs - The largest pieces of fabric can be harvested from the legs of jeans. A draught excluder can be sewn from just one leg. I suppose you could leave the denim as is, but why not add some appliqué to add character. Refashioning - When refashioning, one garment is usually turned into another, in most cases keeping some of the original elements. All parts of the overalls have been kept in this refashion, with the exception of the legs. 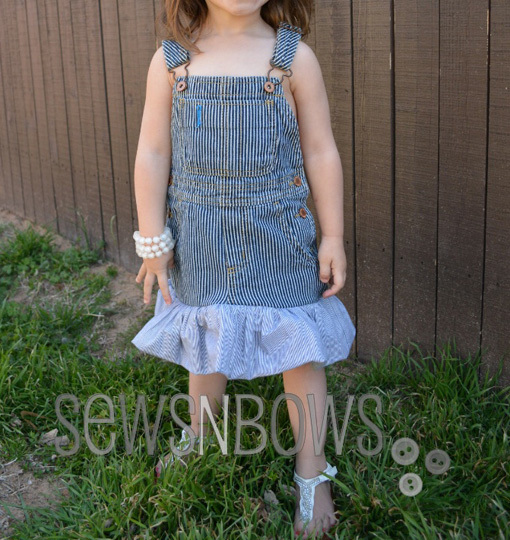 Add a skirt to the overalls and in 20 minutes, your little one has a new outfit. Embellishing Jeans - Contrasting colours work extremely well with denim, which makes them very easy to embellish, using stitching, fabric paint or even a sharpie pen. 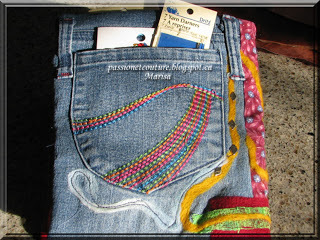 Use a sharpie to create a design on left over scraps of jeans. Add some contrasting fabric, sew them together and you have a case to protect your camera. 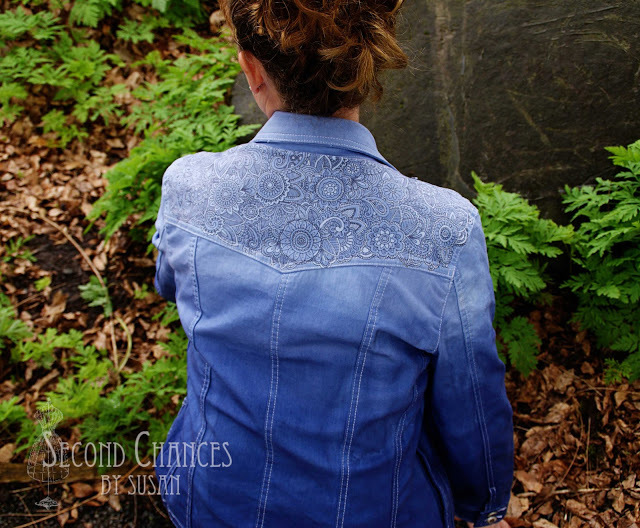 Although technically not a sewing project, I had to include this tattooed denim jacket, to show you what can be done with creativity and imagination. A sharpie marker, glue and dye were used to turn a plain, white, denim jacket, into a work of art. 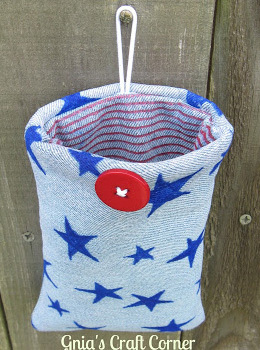 For more jeans repurposing ideas and inspiration, head on over to Pinterest. So, what are you waiting for? 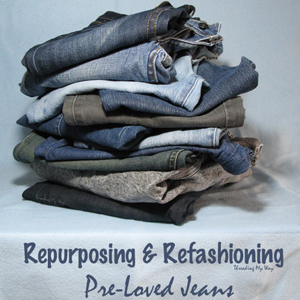 Grab a pair of pre-loved jeans and start repurposing. 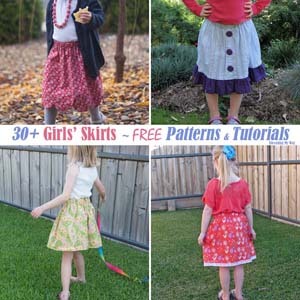 This post first appeared on the AllFreeSewing blog, Seams and Scissors. I had only recently heard of seam jacks, but it's brilliant. 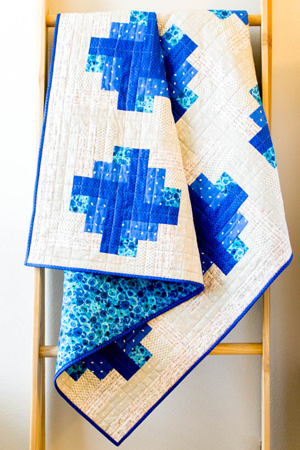 Great projects and inspiration here Pam! Great ideas! Love the jean jacket! 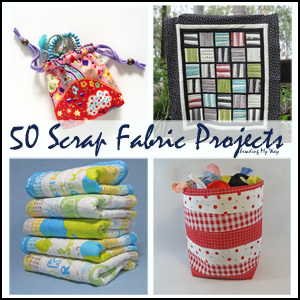 Great roundup Pam, so much inspiration for the pile of discarded jeans in the corner of my sewing room. What a lot of great ideas! I found that it is actually easier to use my hand crank or treadle, then a modern machine, on denim. They were made for stuff like that! just a couple of days my son was born I cut into a few jeans and started to make a rug, but it's something I haven't touched ever since =( I really want to get back to that soon. I just reread this article. My main activity nowadays is reading a 500 page book about the Town where my Grandfather lived. But when i want to Breath I am enjoying patching a coat with Jeans pieces. My original idea was making the coat from an inner cotton piece and patch over it with the jeans, but i soon found out it will be much too heavy for me to wear. thus i thought long about the idea and decided to mix jeans patches with patches [all cotton] that have some blue in them, and thus i slowly patch my coat. ,, when i will Finnish you will get a photo this article is a great encouragement !!!! Lovely to find out your blog (through G+). I'm upcycling clothes to make new ones, but this article looks packed with tips and information. I'm definitely saving it to go in details later! So happy to find your blog;) Will be nice to get in touch! Great to meet a fellow Aussie blogger, Mariana.